(by the Editors, The Wall Street Journal, June 3, 2014) – No one begrudges Sergeant Bowe Bergdahl and his family the relief and joy they feel now that he is free from the hell of enemy confinement. But in the aftermath of his welcome release, it is striking to read the accounts of his former military comrades who wonder about the price the country has paid to retrieve him after he wandered from his post in Afghanistan. That price includes the danger that the five Taliban terrorists traded for his release will return to the battlefield to kill again. Perhaps other Americans will be their targets. But more tangibly for those who served with Sgt. Bergdahl, the price includes those who were wounded or killed in the five-year search to locate and retrieve him. First-hand accounts are appearing, on and off the record, from men who served in the unit with Sgt. 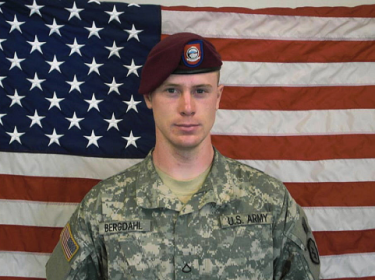 Bergdahl or who were part of the special forces teams dispatched to find him. The resources devoted to the search were enormous, and some of those soldiers will never return. We don’t know the complete story of how and why Sgt. Bergdahl vanished at a forward base in Afghanistan. But there is evidence to suggest that he left his post without authorization and was then captured. Emails he sent to his parents before his capture also suggest he was alienated from the Army and his mission, and perhaps even his country. What Sgt. Bergdahl now owes his comrades, and his country, is a full accounting of his actions before and after he was taken prisoner. The videos he made while captive were no doubt coerced under duress. But serving as an enemy prisoner is not absolution for any military dereliction that led to his capture. His fellow soldiers and now his government have risked much to get Sgt. Bergdahl home. Now Sgt. Bergdahl’s duty is to face up to the consequences of his own actions as a soldier. Published June 3, 2014 at The Wall Street Journal. Reprinted here June 5, 2014 for educational purposes only. Visit the website at wsj .com.